PHILIPSBURG — Philipsburg-Osceola erased a 3-0 deficit with five runs in the third inning and went on to defeat Clearfield 9-4 in Mountain League schoolboy action at the Don Womer Baseball Complex Friday. Cole Kephart staked the Bison to a 2-0 lead with his second home run of the season in the first inning, and Josh Sorbera scored on a forceout by Thomas Summers to make it 3-0 in the second. The Mounties erupted against Jon Janocko in the next frame as Tanner Wilson slugged a two-run triple and scored on a wild pitch to tie it up and Tanner Lamb untied it by clubbing a two-run home runs. P-O (5-11, 5-8 ML) padded the margin in the fifth inning on RBI doubles by Williamson and Nick Gray and a Bison error. Both teams scored a run in the sixth, the Bison on an RBI single by Logan Puit and the Mounties on a wild pitch that allowed Wilson to cross the plate. Winning pitcher Curtis Matsko scattered eight hits over six innings, striking out six and walking four. Williamson relieved and gave up only one walk in the seventh. Curtis Collins singled and doubled for the Bison, who had a hit in every inning against Matsko but stranded eight runners. Janocko had six strikeouts and four walks in his 5-1/3 innings on the mound. He surrendered 10 hits and eight earned runs. Clearfield (3-13, 2-9 ML) is booked for three Mountain League make-up games next week, Monday at Bellefonte, Tuesday against P-O in the Bison’s home finale and Wednesday at Tyrone. In the junior varsity game, Gavin Starr pitched all four innings and also had three hits and three runs batted in as Clearfield (7-5) romped 18-3. Will Myers also had three hits and three RBIs, while Tommy Hazel, Logan Lykens and Zane Morgan chipped in with two hits apiece. Hazel had a pair of RBIS and Lykens had a double. Zach Timchak rf 0000, Dan Collins 3b 0000, Logan Puit dh 4011, Spencer Herrington ss 4010, Curtis Collins lf 3120, Cole Kephart 3b-p 4112, Jon Janocko p-1b 4000, Josh Sorbera c 3100, Erik Sellers 2b 3010, Thomas Summers 1b-rf 3011, Sawyer Rowles cf 1010. TOTALS: 29 4 8 4. Aaron Mason cf 3100, Tanner Wilson 2b 4332, Logan Williamson ss-p 3121, Travis Arnold 3b-ss 3100, Tanner Lamb lf 3112, Curtis Matsko p 0000, Nick Gray dh 2111, Caleb Pepperday 1b 3000, Johnny Harpster rf 3020, Derek Shaw c 2110. TOTALS: 26 9 10 6. E – Rowles. 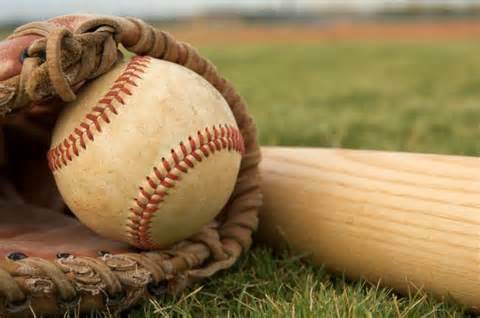 LOB – Clearfield 8; Philipsburg-Osceola 4. 2B – C. Collins; Williamson, Gray. 3B – Wilson, Williamson. HR – Kephart (2); Lamb. SB – Summers. CS – Shaw (by Sorbera). Clearfield – Janocko 5-1/3 IP, 10 H, 9 R, 8 ER, 3 BB. 6 K; Kephart 2/3 IP, 0 H, 0 R, 0 ER, 1 BB, 0 K.
Philipsburg-Osceola – Matsko 6 IP, 8 H, 4 R, 4 ER, 4 B, 6 K; Williamson 1 IP, 0 H, 0 R, 1 BB, 0 K.
HB – Janocko 1 (Arnold); Matsko 1 (Sorbera). WP – Janocko 1, Kephart 1. PO – Janocko 1 (Harpster). W – Matsko. L – Janocko (1-4).